The staff were very nice, efficient and helpful. The place was very clean and spacious. The kitchen had all the amenities we needed. The beach was a few minutes walk downhill. The underground parking lot was very comfortable. The laundry room was very comfortable. 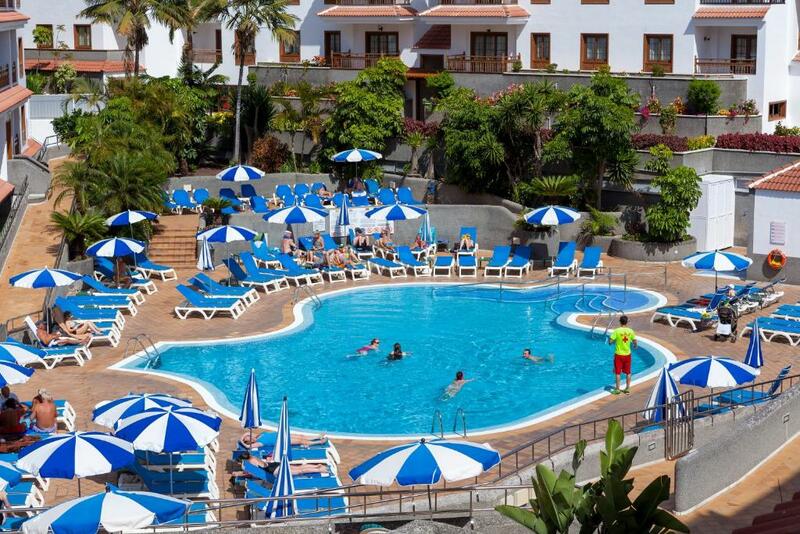 Clean, light, comfortable- LOVED the large balcony and view of Teide, and the beautiful bathroom with walk-in shower! Great location! Will be back! Staff friendly and helpful! Although there are lots of apartments in the complex it never felt crowded. You get the best of both worlds, self catering but with reception staff if you want assistance. Close to centre and front of Puerto. Apartment's kitchen as well as the whole compound in very good shape. Technical support very fast and skilled. Spacious apartment, a 2 bedroom apartment provided although only a 1 bedroom booked. Apartment had terrace one side, balcony on the other - very good. Well equipped kitchen, comfortable beds. An awesome and extra large apartment with all amenities. This place greatly exceeded my expectations, and I would be most pleased to return. 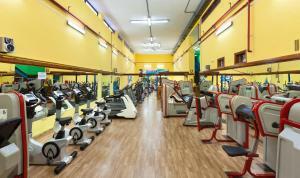 The location is convenient to fine beaches and restaurants, and the adjacent gym is well equipped. 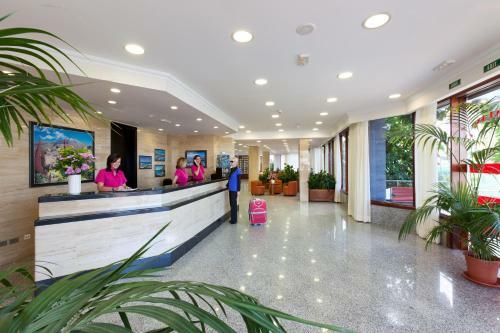 The front desk staff was exceedingly welcoming, polite and helpful -- providing excellent advice which enhanced our stay. Everything was nice. We got bigger apartment than reservation was made for. Beds comfortable, well equipped kitchen, nice pool area. Staff very friendly. Especially suitable for little children as well for all kind of people. Thank you, Casablanca. Next time choose you again! Lock in a great price for Apartamentos Casablanca – rated 8.8 by recent guests! 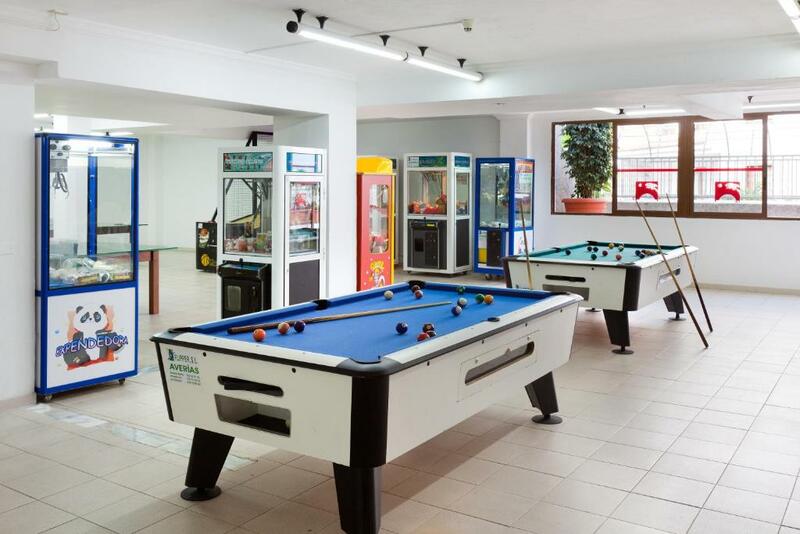 Apartamentos Casablanca This rating is a reflection of how the property compares to the industry standard when it comes to price, facilities and services available. It's based on a self-evaluation by the property. Use this rating to help choose your stay! 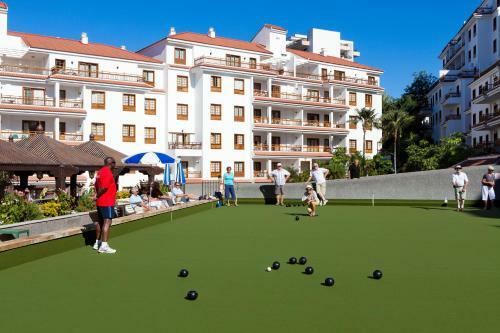 One of our top picks in Puerto de la Cruz.Apartamentos Casablanca are a 10-minute walk from Puerto de la Cruz Beach and Lago Martianez saltwater pools. This complex has an outdoor swimming pool and a separate children's pool. The Casablanca features simple, bright décor. 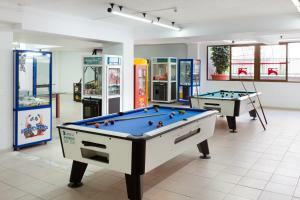 Its apartments and studios have a balcony or terrace, and are spacious and well equipped. Each has a kitchenette and a living room with satellite TV and Wi-Fi access. The on-site café-bar serves breakfast and meals throughout the day. The apartments are within walking distance of the resort center, where there is a wide range of bars and restaurants. 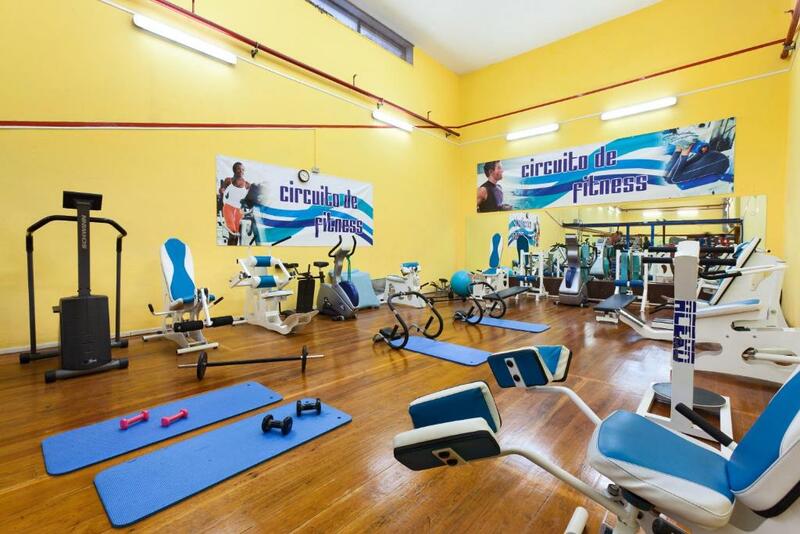 Guests receive special rates at Casablanca's Gym, which also offers various fitness classes and a sauna. The multilingual staff at the front desk can provide tourist information on the surrounding area and arrange car rental, tickets and excursions. There is an entertainment program throughout the year, and entertainment specifically for children in the summer. 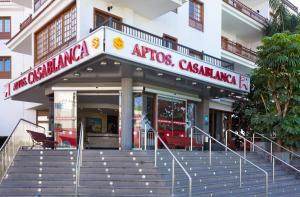 When would you like to stay at Apartamentos Casablanca? This apartment has a twin bedroom, a dining area and a living area with a sofa bed. 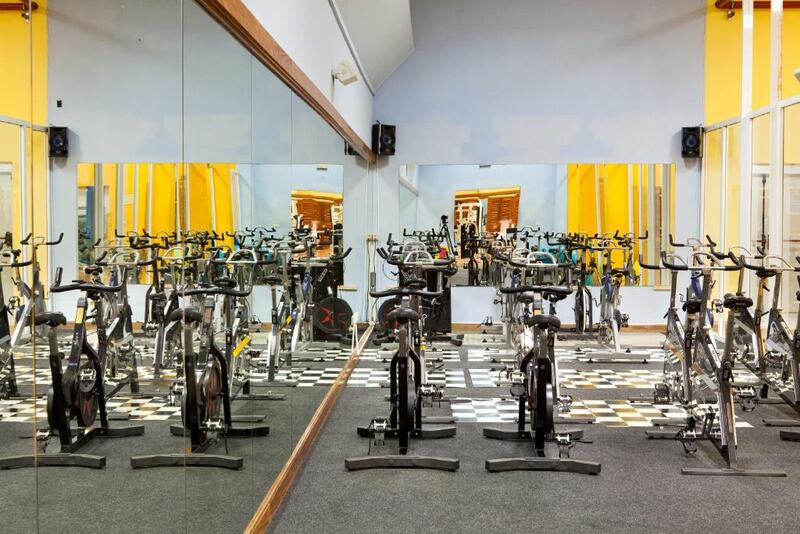 It accommodates 3 adults, or 2 adults and 2 children (aged under 12 years old). This studio features tile floors and beach-style décor. There is flat-screen TV and a private balcony. The kitchenette includes an oven, microwave and coffee maker. This apartment has a twin bedroom, a double bedroom, a dining area and a living area with a sofa bed. 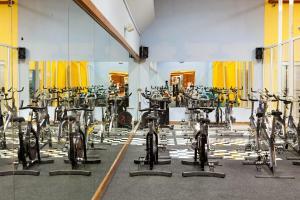 It accommodates 5 adults, or 4 adults and 2 children (aged under 12 years). House Rules Apartamentos Casablanca takes special requests – add in the next step! Apartamentos Casablanca accepts these cards and reserves the right to temporarily hold an amount prior to arrival. Please note that the total amount of the reservation must be paid upon arrival. American Express is not accepted as a method of payment. Please note that the pool is accessible for guests with reduced mobility. Please note that bathrooms will undergo refurbishment from May to July. Our room was really outdated, especially the bathroom which had an old and uncomfortable feeling. The furniture in the living room also looked pretty old, although it was comfortable. The room was not well insulated and it got chilly at night. Children’s pool was pretty small. No decent sized wine glasses provided - either tiny glasses or tumblers! Parking was 5€/day, which adds up for 6 days. TV located in an odd position such that you couldn't view it from the sofa. It’s always well maintained and staff are friendly. Drawers in bedroom not so easy to open; another shelf in wardrobe for clothes would be useful; pillows could be better (some lumpy or hard); spent some time looking for tv remote - could do with a sign next to the tv informing guests to get this from reception. All minor things, but would further improve an already great experience! Only downside was apartment did not get any sun at all. No canopies over most balconies,so if weather a bit off you can't sit out. Very clean,well run, good staff.